This Business Card Magnet with Small Bag of Skittles is fruity fun, and makes a great first impression. 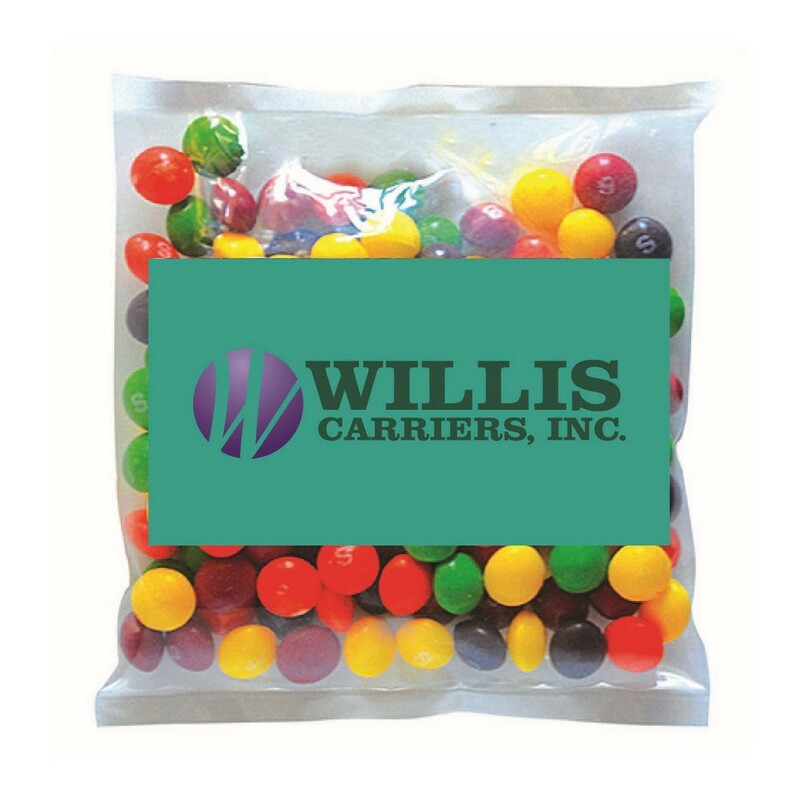 Dimensions: 2" x 3.5 " x .01 "
A Small Bag of Skittles is the perfect way to keep your brand’s name sweeter and more flavorful than the competitors. It comes with a business card magnet to imprint your brand name and logo, which ensures that the recipients will remember your promotional message, long after the treats are relished. These small, spherical candies, come in many flavors to pamper your taste buds. The recipients will quickly associate your business with the happy feeling of eating these candies. These fruity, fun, and delicious candies work wonders at all marketing events, making the best first impression for your brand.